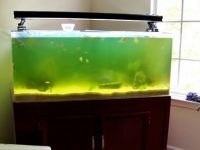 What causes cloudy aquarium water and how to clear? Cloudy aquarium water is caused by many factors and has many types, some are unharmful and the others may cause sudden fish death. 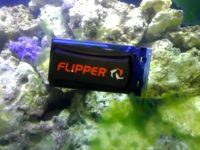 So you must understand all cause of the cloudiness water as well as how to treat the harmful cloudy water to rescue your aquarium fish. 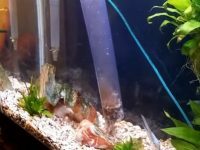 How to clear cloudy aquarium water? You set the tank up and think you’re ready for fish. Everything is crystal clear and looks wonderful. Well, at least it was until you actually added those fish. Suddenly, everything is going wrong! Your beautiful water is now mucked up by a milky haze floating throughout the aquarium, what is it?! First step to fixing this? Don’t try to fix it. Do NOT do a water change. This cloudy appearance is caused by a bacterial bloom of nitrosomonas bacteria. These are a beneficial species of nitrifying bacteria which remove deadly ammonia from the water column. At the moment, they’re suspended in the water (hence the cloudiness), but they won’t stay there for long. Eventually they’ll settle down on the surfaces of your aquarium, especially the filter. Let nature run its course and let the bacteria establish. It’s important you don’t disrupt this, otherwise you’ll go through an endless loop of the bacteria attempting to establish while you take it out. If you see this cloudiness, it could be a good time to test your ammonia levels. If they’re looking a little high, use aquarium conditioners to help temporarily detoxify the ammonia present in the aquarium until the bacteria can handle it themselves. On the other hand, in the case of an aquarium after two weeks set-up or in an older aquarium, the cloudiness will be from a different cause. If you recently added a large amount of fish to the aquarium at once, cloudiness is also an indication that your current bacteria are not capable of handling the amount of new waste the fish are producing, thus the bacterial bloom occurs. The bacteria may not actually harm your fish, however, the levels of toxic chemicals raising in the aquarium water are the main cause of sudden fish death after the cloudiness. Another cause of bacteria bloom is excessive nutrients in the water from overfeeding or decaying plant material. It needs to be addressed quickly as the bacteria will consume oxygen and fish may die from oxygen deprivation. And another cause can be adding medications to the tank. 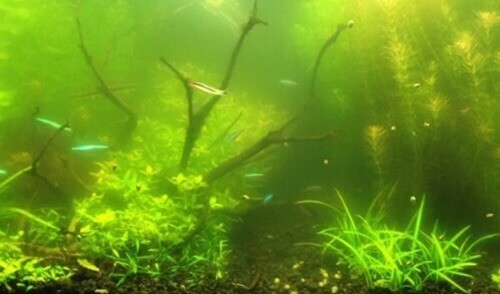 An overgrowth of algae (algae bloom) is another cause of aquarium cloudy water. Algae blooms are sometimes distinguishable form bacteria blooms by a slight green color. Cloudiness caused by algae growth is usually slightly green. The algae will be trapped in a diatom filter so checking your filter material if you can’t be sure if which one you have as it will have a greenish color if the problem is caused by an algae bloom. 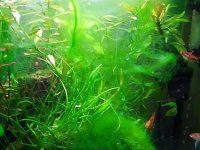 A white cloudiness in your established tank is usually caused by an excessive growth of bacteria (bacterial bloom) that is very dangerous for your aquarium lives so you should solve it as quickly as possible. For a new tank do nothing! 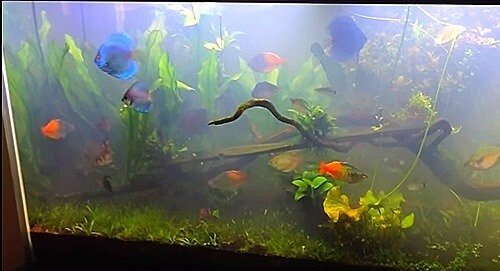 In a newly established tank cloudiness is normal and will usually clear on its own. For a old tank. Vacuum the gravel to remove decaying food and remove any plants that have died. Partially change the water and do not feed the fish for two or three days. It really won’t hurt them! Test the water for ammonia regularly to alert you to upcoming trouble. At the first signs of any ammonia present partially change the water and do not feed the fish for a few days. 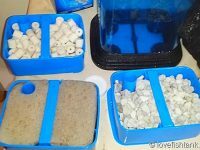 Keep a quarantine tank ready and use that to medicate any sick fish. It is always better to isolate fish in need of treatment and add the medication to a separate tank rather than to the main tank. 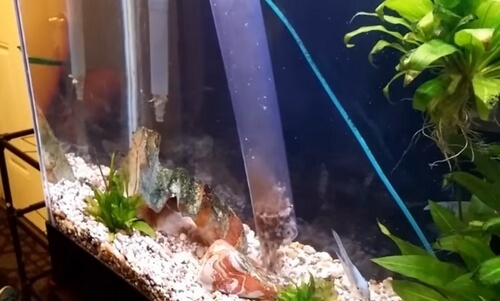 How to quickly clear green water in aquarium? How to easily do weekly aquarium water changes?